New Jersey politicians just can’t help themselves. In the Garden State, even a good piece of public policy can be morphed into a bad piece of public policy for the usual reasons: greed, political payoffs and a bizarre contempt for strapped taxpayers. Such is the case with ballot question two, which voters are tasked with deciding today. 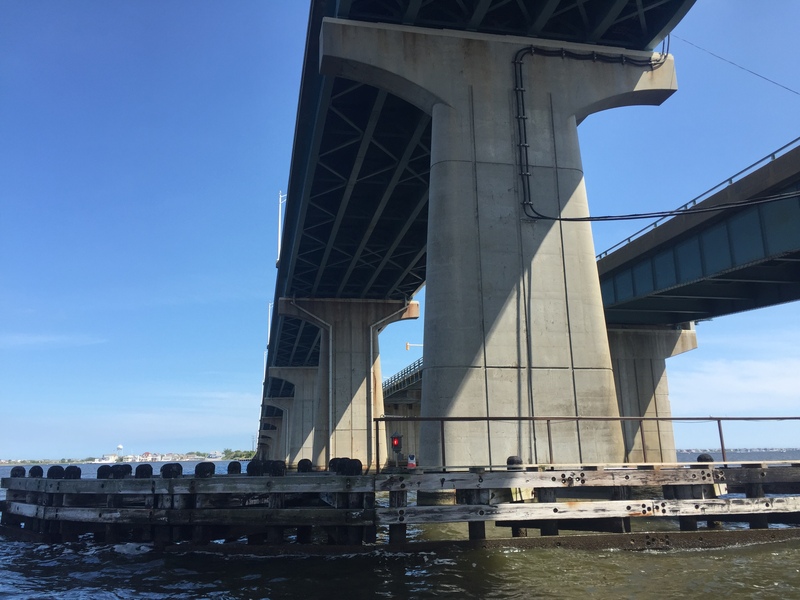 Proponents have touted the fact that, if New Jersey must suffer through a significant hike in the gas tax, at least the revenue generated should go toward the purpose of fixing roads and upgrading our aging infrastructure. That is, on its face, a noble idea. In any other state, it would be a no-brainer to support the effort to do so. But we live in New Jersey, where there is an ulterior motive for every supposedly good policy – and that motive never benefits the taxpayers. If our public officials were to dedicate the funding from the gas tax to transportation projects and move on, there would not be so much as a discussion. They will not stop there, however. The “locked” or “dedicated” revenue will act similarly to an income that qualifies any of us to buy a house, car or boat. In the case of the state, that extra money you’re paying toward the gas tax won’t just go to fix roads and bridges – it will be used as collateral to fund what is estimated to be as much as $12 billion more in wasteful spending on the backs of our beleaguered taxpayers. What proof, some ask? The proof is in the pudding. Look to the fine print of most of those glossy “Yes on 2” flyers you’ve received in the mail. Chances are, they’ll say they were paid for by the Engineers Laborers Employer Cooperative. Some are funded by another group called Forward NJ. Both of these outfits represent Big Labor, who members stand to profit off that extra $12 billion that will be borrowed. We cannot blame Big Labor for advocating for its members. What we’re entitled to do, as taxpayers, is to try to change a system that caters to the whims of Big Labor, which showers politicians with millions in campaign contributions each year. The fact that we use union labor to complete transportation projects is not necessarily a bad idea – but as with the ballot question itself, a good thing is morphed into a tax boondoggle that is driving residents out of the state. New Jersey’s Prevailing Wage Act guarantees, under the force of law, that all labor used in public projects is paid at a rate that vastly outpaces the rate of the private sector. Brick residents saw the effects of this earlier this year, when a simple home demolition project was slated to cost over $100,000 because it had to be performed under Prevailing Wage. It is why New Jersey residents pay up to eight times the cost of roadwork than the average state. Any deal to dedicate gas tax funding funding, or to borrow billions more, should have been contingent on scrapping (or at least reforming) this damaging, anti-taxpayer policy. Of course, in New Jersey, it was not. The tax increase passed, and this question is slated to pass, with the taxpayers gaining nothing in return except billions wasted on wages head over heels above market rate. Voting “yes” on the ballot question will almost certainly mean another gas tax hike is in the cards once the payments on that extra $12 billion in borrowing come due. This is the exact reason why we were told by our elected officials that the 23 cent increase was required this summer. It is time to put a stop to the largesse, bought and paid for, by Big Labor and the politicians who they shower with cash to gleefully push their agenda without any checks or balances. Voting “no” will allow taxpayers to have a voice in the future uses of gas tax revenues, or even a chance to reverse the gas tax hike under a future governor or legislature. If the ballot question passes, it is a license for New Jersey to borrow billions, hand out contracts to companies and labor unions who make backroom deals, and remove any debate about the future rising cost of roadwork in our state. New Jerseyans could not afford the initial gas tax hike. They cannot afford skyrocketing property taxes. They cannot afford a cost of living that is destroying the middle class and driving its members out of the state. Let’s, for once, have a say in beating the bad policies with which Trenton has saddled us. A “no” vote on question two is essential.